Lots of good points very little fluff. Paints a very clear picture. I really like how succinct this audio is. It is very timely and relevant. DiLorenzo hits the right topics, explains them quickly and moves on. I also liked his reference points; Lappin, Bastiat, Mises, Stalin. He uses History in conjunction with these other authors as authority to further his already well made points. 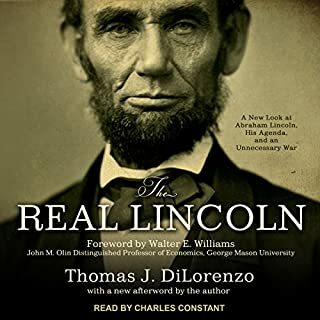 I liked everything about this book, DiLorenzo provides good info and methodically shows "The Problem with Socialism" and will alert those that may be asleep to the Socialist policies that have already been enacted and in place in the US for many years. He makes clear what the natural conclusion of where these socialist policies have taken other countries in the last 150 years and where the Socialist policies in the US will also eventually lead. 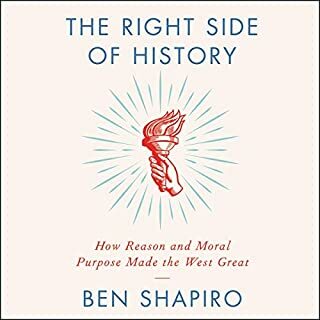 Book provides the feeling and facts and the moral positioning needed to have intelligent conversation for those who may be trying to find their way to Liberty. I have 130 non fiction titles. I wrote reviews for only 5 or 6 others. I'll be listening again soon! Efficient and easy to understand, unlike socialism. Armed with the knowledge in this book, you'll be able to debate any of your leftist friends. He sites all kinds of examples of where socialism has ruined societies. Making the main claim among other well founded claims, that socialism hurts there very people it declares to help. DiLorenzo's book succinctly exemplifies the teachings of Hayek, Rothbard and Von Mises while using examples from the last 40 years, including the current presidency. It only confirms my reading/listening of these fine authors and provides the argumentative bases for discussions of socialism with the Social Justice Warriors of today. Use this audiobook to convince others that we are truly on the Road to Serfdom. Having lived 8 years under National Socialism and having escaped from the Socialist "Workers Paradise" of East Germany in 1953, I have to congratulate the author on a job well done. I have never seen or read a better description of what Socialism is, how it works and what it does to the people. 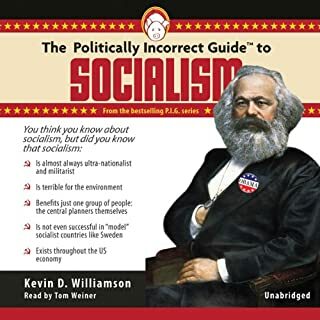 Unfortunately, the people, who are steering this country towards Socialism, are unlikely to read this book. History repeats itself, because most of us are ignorant of it. Sound economic logic is paramount in today's society. Thomas Di Larenzo masterfully exposes the real motivations behind a planned economy. America is in danger of falling further into this trap. Educating yourself with the real problems of socialism is necessary. DiLorenzo Delivers! Great and Easy to Understand! This book was a real eye opener. 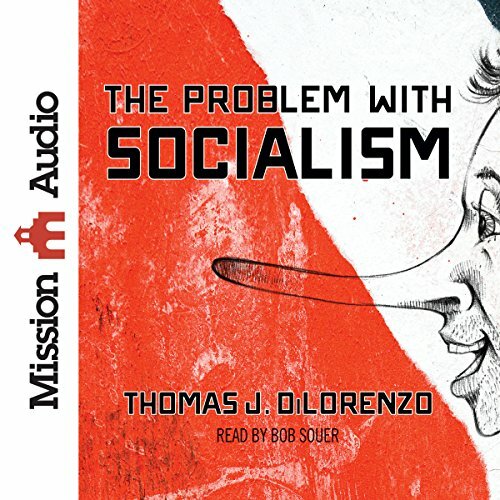 I really thought I understood Socialism, but Thomas DiLorenzo has written a book that gets deep into the different types of Socialism and makes it easy for the general public to understand. I had no idea about some of the hideous things that have come about because of Socialism, I just knew the surface things that most Americans know. Because we have been free, we don't get it... we don't understand how Socialism really works. We don't understand what it's like to live in a country who murders millions of it's people... a Socialist county -- killing their people, taking their property, pillaging their bank accounts.... Americans don't get it because we have been blessed! But, it's coming and I appreciate Thomas DiLorenzo for digging in and delivering the facts. My family and I highly recommend this book. It's quite frightening, but America,... if this is coming here, we need to be ready to stop it! HUGE Kudos to Bob Souer who did a stellar job narrating this with energy and passion. Mr. Souer is one of the best narrators in the field today! Great job Bob! What did you love best about The Problem with Socialism? This book condensed a lot of important information into a relatively small book that will be an easy read for those new to the topic. It should become a classic first read recommendation for those discovering what liberty really means, alongside Bastiat's "The Law", Hazlitt's "Economics In One Lesson" and Rothbard's "What Has Government Done To Our Money" and "Anatomy of The State". It keeps the reader engaged, as all great writers do. Even someone who is well versed on the topic should learn quite a bit. What about Bob Souer’s performance did you like? I was thrilled about this new book and plan to buy several hard copies to give away to people I know who are misinformed about the nature of socialism. Thomas DiLorenzo has earned a prominent place in history with this masterpiece. A great arrow for your debating quiver. If you find yourself debating economics with leftists and socialists then you need this book. It very nicely summarizes some common socialist myths, provides counter examples, and lays out a case for why socialism always fails no matter how varied its implementation. Relearning an age old lesson. The decline of all governments is the story of gradual erosion of rights until a breaking point is reached. This is the story of where America is headed, where other countries who have been there before ended up, and how we keep believing a set of lies that is, in many ways, as old as government itself. An excellent read (or listen) about the problems Socialism, leads to. Best, the writer doesn't insult the socialist thinker, but points out very well the evidence that history has given us (but is simply not taught to young students, for reasons explained). The writer explains why socialist ideas, which seem completely logical and even compassionate simply do not deliver. In fact, as is seen all over the world, contrary to helping the poor, Socialism impoverishes the poor. 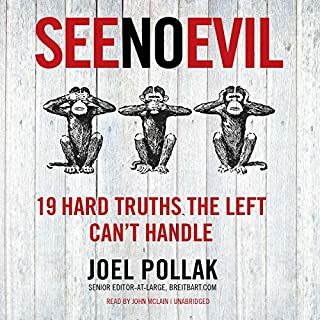 If that statement frustrates you, and you think capitalism is 'evil' as I have so often encountered, then this book is for you, as even if you are not convinced, you will understand why Conservatives believe they are the party for everyone and everyone benefits more from capitalism. It would be a very different world in a Socialist world. Some of the middle chapters are deep in history and may seem irrelevant to today, but remember that they are only irrelevant because we haven't had a Socialist century. You need to keep this in mind during the explanations. 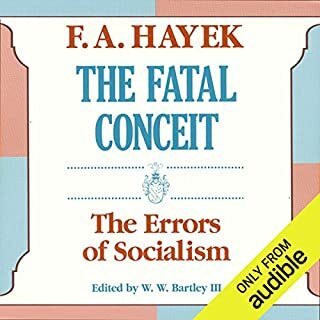 A great summary of the 'mis understood problem with socialism and a book that Socialist should read and all students, even if you decided to reject the findings. It will leave you less angry and more understanding of you political opposites. For what this book may lack in length, it makes up for in sheer content. I've never come across such a wonderfully concise and easily followed critique on the short comings of socialism, combining theory with case study and opportunities for further reading. In a time where most younger people have a strange fascination and fondness for socialism, this book seems the ideal remedy. Buy it twice and pass it on. This is an excellent book. It is short and gets right to the point without any fluff. It covers a wide array of topics. It is accessible. It destroys all the common socialist arguments without getting bogged down in technicalities or too much detail. 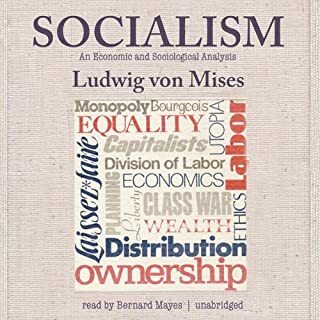 It is good for beginners who might be daunted by a larger work such as Mises’ “Socialism”. The performance was adequate. It was a little monotonic and lacked passion. It felt at times that the narrator was not familiar with the subject matter and therefore placed emphasis on the wrong words. The pauses between sections and paragraphs were not long enough. His pronunciation of the name “Mises” was cringeworthy. Overall though, it is well narrated, very clear and with high production value. Explains the failures of socialism with multitudes of examples with accurate statistics and cites relevant economists and philosophers. A really good read (or listen) - it's a shame the people who think they want socialism probably won't try it. This book does a great job of debunking so many lies of the Socialists and the Leftists. DiLorenzo supplies you with fact after fact after fact to bolster your arguments against the pernicious Socialists and their sympathizers. The unfortunate thing about this book is that it had to end. This is well researched and well written. DiLorenzo clearly has an in-depth grasp of how retrograde a force Socialism is.